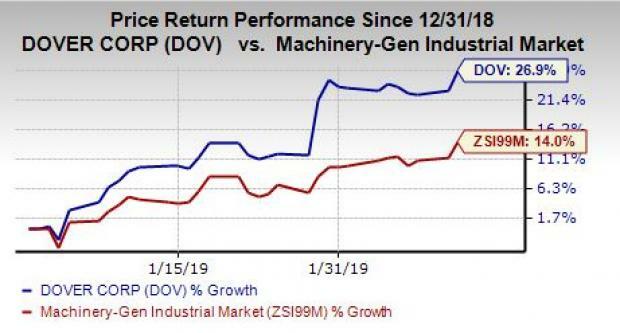 Dover Corporation DOV looks promising at the moment on the back of an upbeat outlook, improved performance by the Engineered Systems and Fluids segments, strong bookings and backlog, cost-reduction initiatives and restructuring programs. The company’s shares have gained around 26.9% year to date. Some other top-ranked stocks in the Industrial Products sector are Axon Enterprise, Inc AAXN, Alarm.com Holdings, Inc. ALRM and Ennis, Inc. EBF each sporting Zacks Rank #1. You can see the complete list of today’s Zacks #1 Rank stocks here.